Jimmy Cricket clearly put on a memorable performance when he headlined an old-style Music Hall show at the world-famous City Varieties theatre in Leeds. 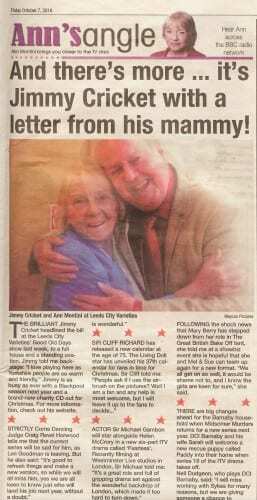 An article (right) in the Dewsbury Press newspaper said the 70-year-old entertainer played to a full house and got a standing ovation. Each year the City Varieties recreates a version of Music Hall, an incredibly popular format for theatre during Victorian Britain. The venue in Leeds is synonymous with Music Hall as not only was it built to stage these shows, but it was also the location where the very popular and much-loved BBC light entertainment show called The Good Old Days was filmed during the 1970s and 1980s. 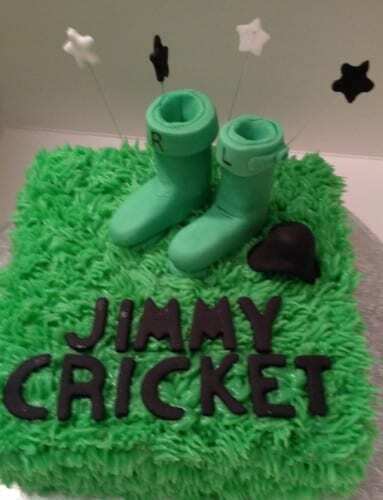 The show – Jimmy appeared in the original in the 80s – retains its eternal popularity as the reruns of it on BBC4 on Friday evenings attract significant viewing figures. 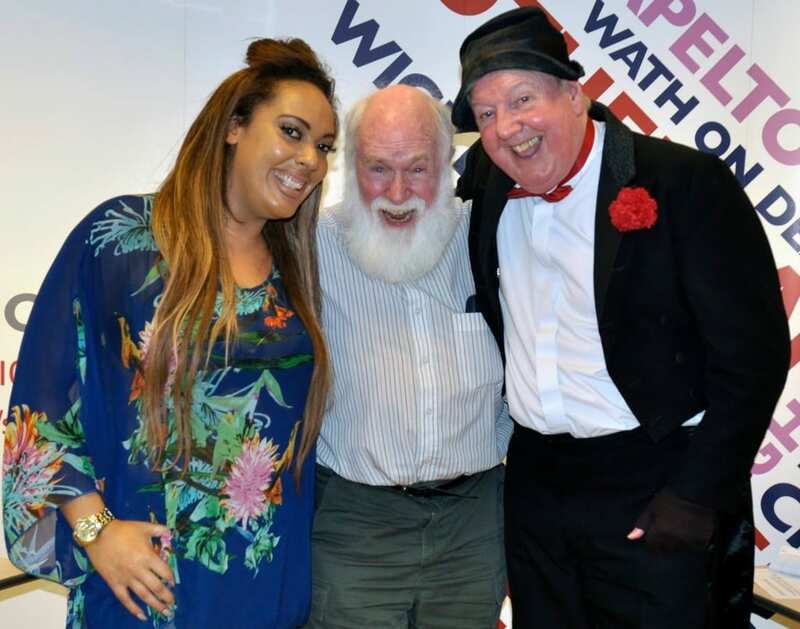 Jimmy Cricket appeared on a radio show presented by an old showbiz colleague earlier this month. 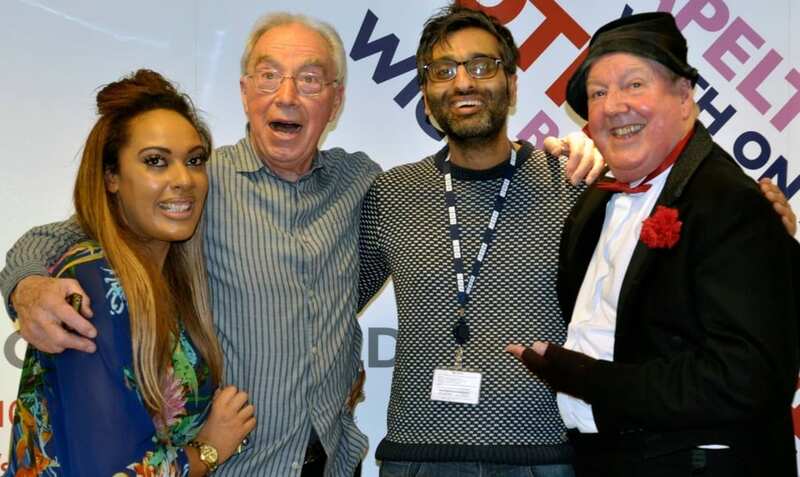 The Northern Irish entertainer was among the guests on Bernie Clifton’s weekly BBC Radio Sheffield comedy show. 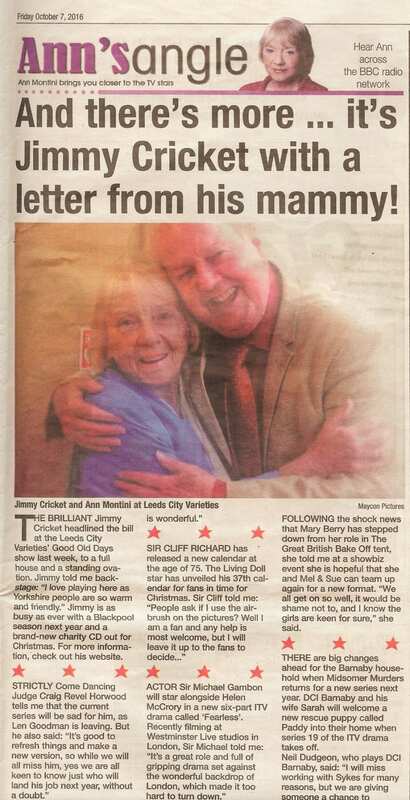 Jimmy was personally asked by Bernie to go over to South Yorkshire to take part in his show, which is called ‘Live-ish’. 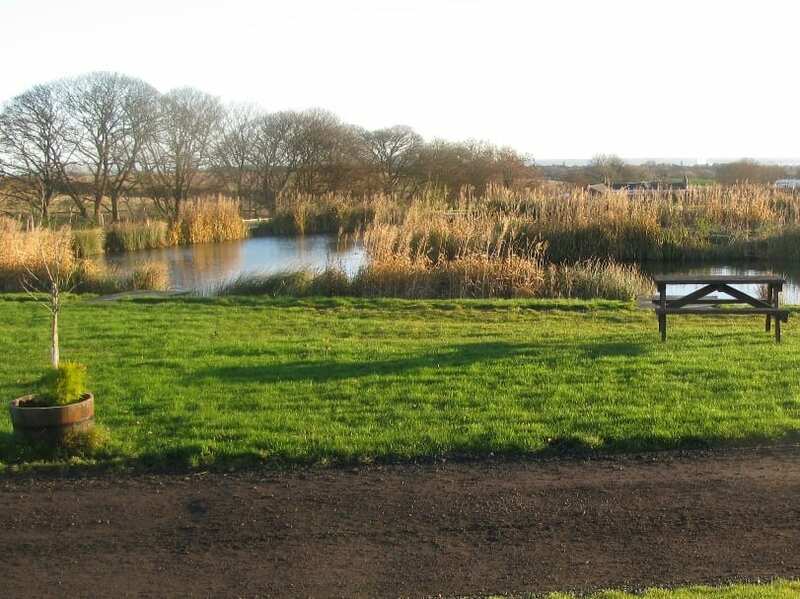 The name springs from the fact that the programme is recorded on a Friday morning in front of a studio audience, but is not broadcast until 1pm the following day. Jimmy said: “I have known Bernie for three decades and have always had a fondness for his zany and visual approach to comedy, which is not too far away from my own style. 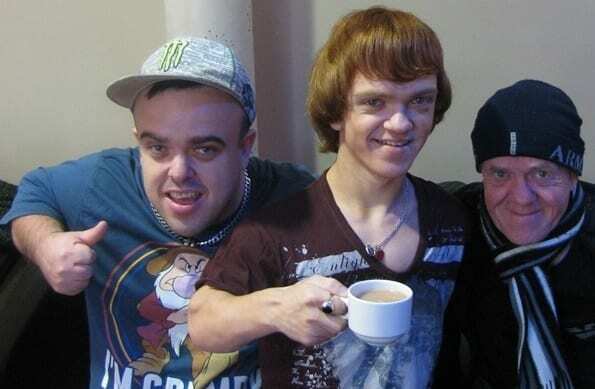 Top, Bernie and Jimmy are pictured alongside the show’s other guest that week, Sheffield-based fitness trainer Kellyanne Sharman, and the show’s producer, Rav. 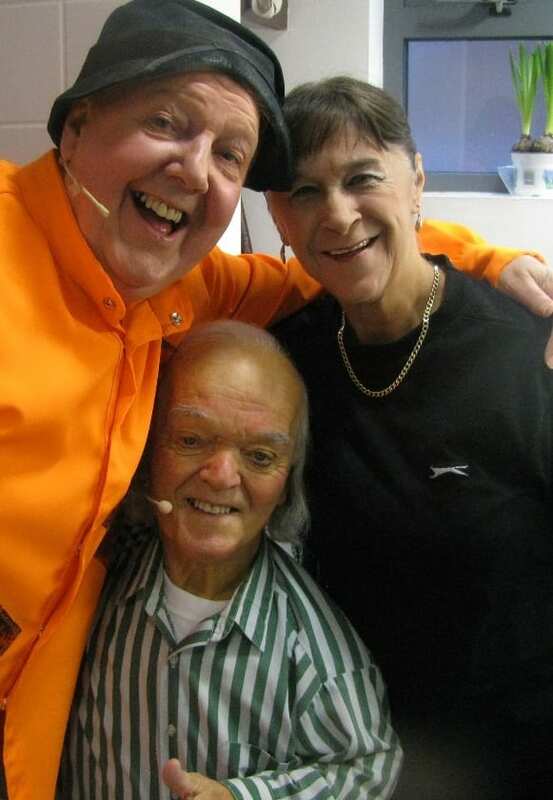 Below, Jimmy and Kellyanne are with Peter Lewis, who was in the audience and took these photographs. Jimmy Cricket is going to perform in Huddersfield for the first time in at least 10 years. 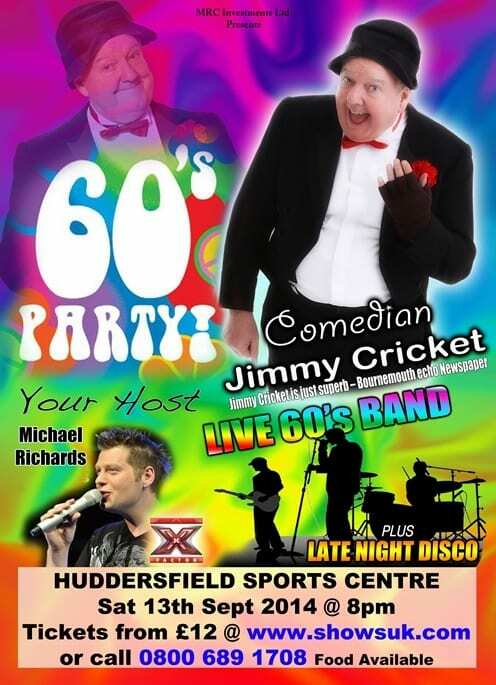 The well-known Northern Irish entertainer will headline a 60s party at the Huddersfield Sports Centre in the West Yorkshire town on Saturday 13 September. The event is being hosted and promoted by local entrepreneur Michael Ricards. Jimmy said: “It’s amazing to think that being based in Rochdale in North Manchester, I am only a stone’s throw away from Huddersfield. Tickets are available by either visiting www.showsuk.com or ringing 0800 689 1708. Famous funnyman Jimmy Cricket has been reflecting on the successful pantomime in which he starred over the festive season. The Northern Irish entertainer played the comedy role of Muddles in Snow White and the Seven Dwarfs at the Billingham Forum Theatre near Middlesbrough. Also in the cast was Emmerdale’s Kurtis Stacey (he plays Alex Moss in the soap) who featured in the role of the Wicked Henchman. In total, a record 30,000 spectators came through the theatre’s doors to watch Jimmy and the cast over several weeks. And it consistently had excellent reviews from people who see the show during the Christmas and New Year period. Jimmy said: “I would like to pay tribute to the wonderful cast that had been assembled and express my gratitude to the excellent production team that put the show together led by producer Duggie Chapman. He also acknowledges the fantastic cottage (scene photo below) he stayed at over the duration of the pantomime which was situated within Abbey Hill Cottages and is run by Paul, Smokey and Mary. 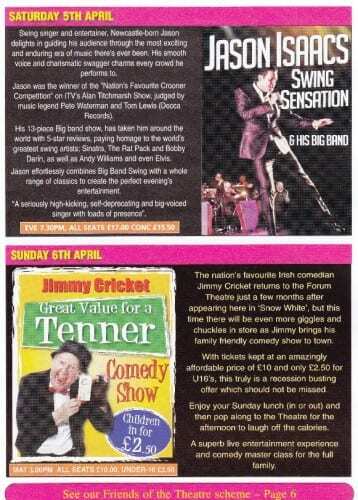 Jimmy liked the North East venue so much that he will bring his stand-up comedy show to the Forum Theatre on the afternoon of Sunday 6 April. To book tickets for Jimmy’s return visit with his comedy show, visit the theatre website here. A lady who gave Jimmy Cricket and his panto colleagues a great Christmas send-off is the January winner of the Golden Wellie award. Liz Cooper is the marking manager at the Forum Theatre in Billingham where the famous Northern Irish entertainer appeared in Snow White and the Seven Dwarfs over the festive period. 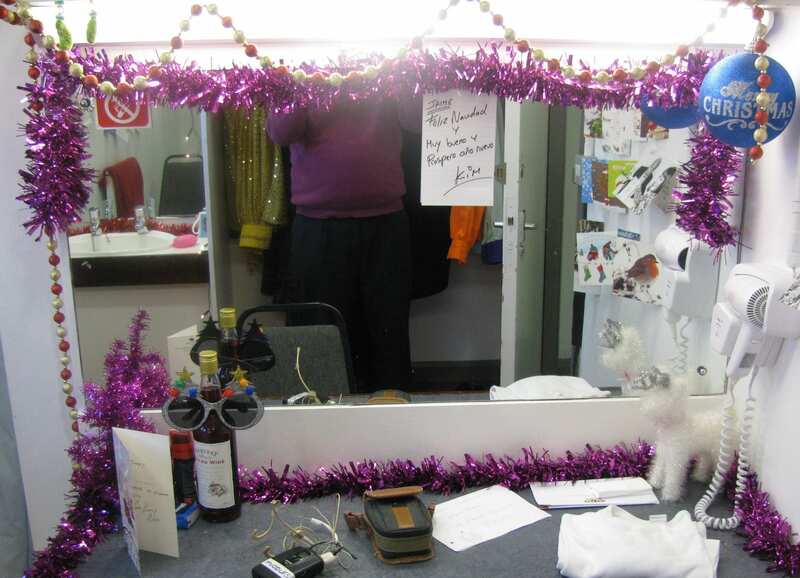 Jimmy said: “Liz went above the call of duty on Christmas Eve and decorated with festive trimmings the dressings rooms occupied by the cast of the pantomime. She was ably abetted in this feat by her daughter. 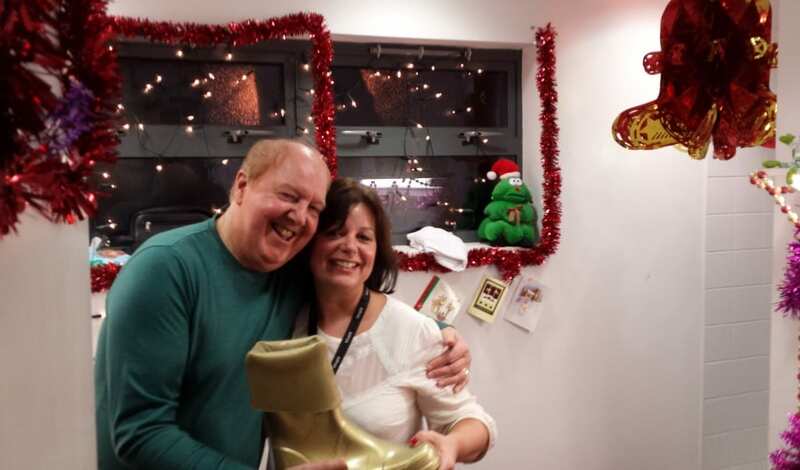 Jimmy, whose festively decorated panto dressing room is pictured below, was so impressed and grateful for what Liz had done that he wanted to acknowledge her efforts by awarding her the Golden Wellington (above). 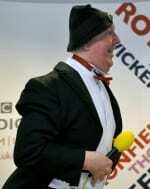 Jimmy Cricket is to return to the scene of his record-breaking pantomime. 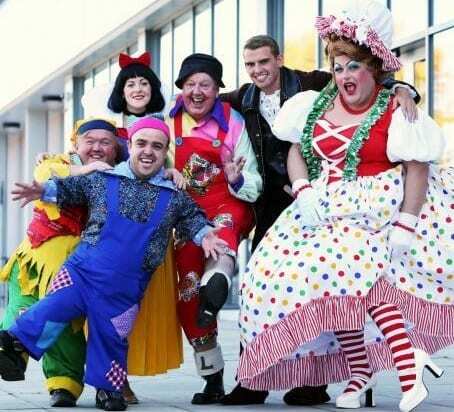 Snow White and the Seven Dwarfs attracted sellout crowds – the biggest attendances ever for a panto at the Billingham Forum Theatre near Middlesbrough. It consistently had excellent reviews from people who watched the show over the Christmas and New Year period. Northern Irish funnyman Jimmy played the comedy role of Muddles in the festive production. Also in the cast was Emmerdale’s Kurtis Stacey (he plays Alex Moss in the soap) who featured in the role of the Wicked Henchman. Jimmy liked the North East venue so much that he will bring his stand-up comedy show to the Forum Theatre on the afternoon of Sunday 6 April. To book tickets for Jimmy’s return visit with his comedy show, visit the theatre website here. Snow White and the Seven Dwarfs was clearly loved by people who went to see it, with many positive comments being posted on the social media website, Twitter. 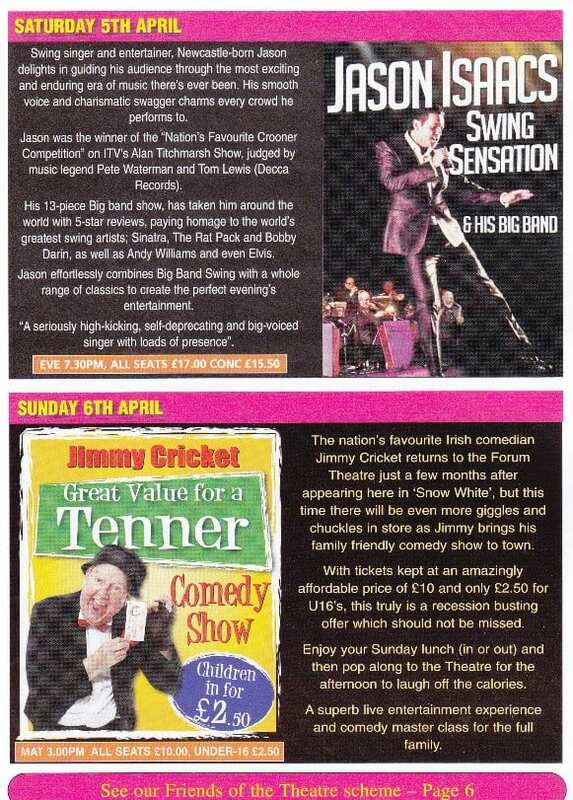 In addition to those included in previous stories in the Cricket Times section of this website, here are some more plaudits for Jimmy and co.
Fab panto at the forum jimmy was great 2nd time I’ve seen him!! @jimmy__cricket @kurtisstaceyKS good fox song!! @jimmy__cricket the whole family came to see you today in panto and my son who is 5 couldn’t stop laughing at you!! @jimmy__cricket Saw u in Snow White today- me & my 5 year old boy cried laughing together at the same gags!great family show, thanks v much! @jimmy__cricket hey muddles!! great performance tonight in Snow White!! Family and I loved it!! 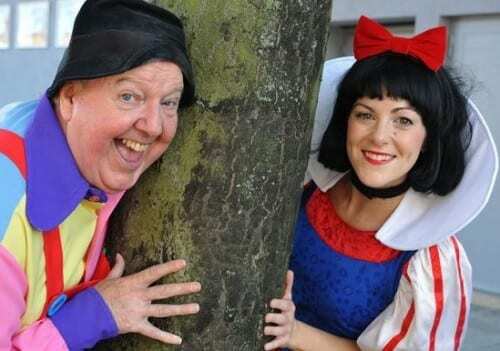 More plaudits have been handed to Jimmy Cricket and his fellow cast members who are appearing in Snow White and the Seven Dwarfs at the Forum Theatre in Billingham near Middlesbrough. 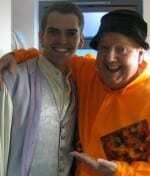 The famous funnyman plays Muddles, while Kurtis Stacey (who plays Alex Moss in ITV’s Emmerdale) is the Wicked Henchman in the traditional festive family pantomime. Read some of the previous comments about the show here and get all the latest news and reaction about Jimmy by following him on Twitter. For more information or to book a ticket for the panto, visit the Forum Theatre website or ring the Box Office on 01642 552663. * The photos with this story were taken during rehearsals week for the panto. Jimmy Cricket’s latest panto has been getting some rave reviews on the social media site, Twitter. The Northern Irish entertainer is playing the comedy role of Muddles in that old favourite, Snow White and the Seven Dwarfs, at the Forum Theatre in Billingham near Middlesbrough. 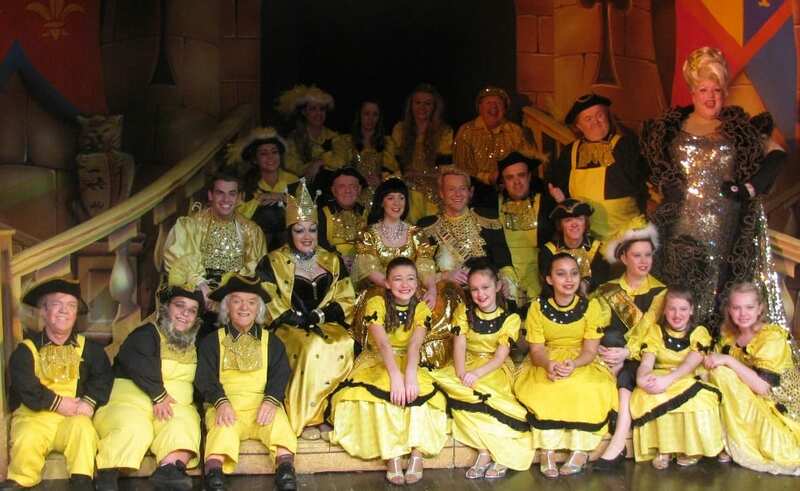 And he and the rest of the cast, which includes Emmerdale’s Kurtis Stacey (who plays Alex Moss in the soap and the Wicked Henchman in Snow White), have been praised for their performances in the pantomime which started on Saturday. Sam Scullion ‏@samshort1984: Just been to snow white and the seven dwarfs…wow it was brilliant and hilarious @jimmy__cricket @kurtisstaceyKS and the rest of the cast!! Get all the latest news and reaction about Jimmy by following him on Twitter. 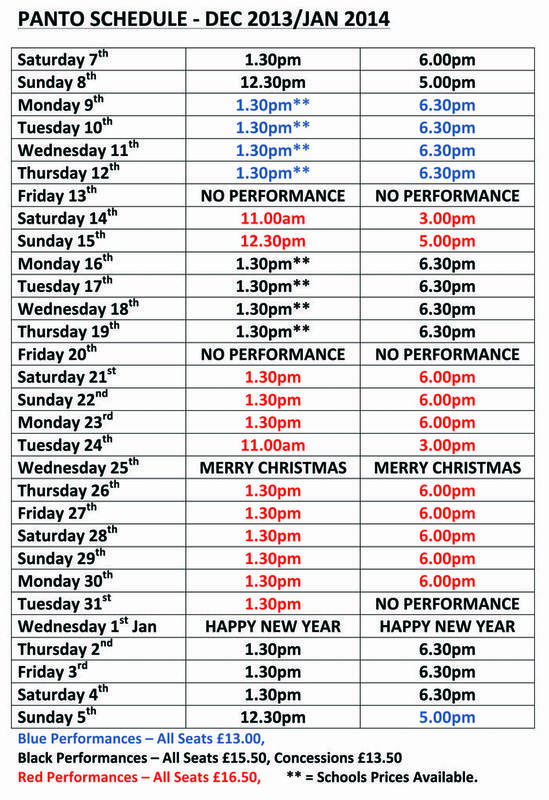 On most days, there is planned a 2.30 afternoon matinee and an early evening show starting at around 6pm, but check with the theatre by phone or on its website (details below) as times vary on different days. 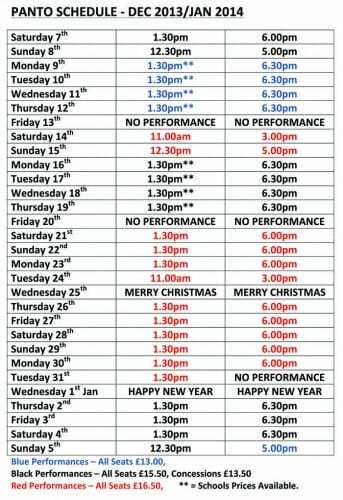 The panto, which runs until 5 January, is being produced by the hugely experience Duggie Chapman, who has been in charge of the Forum Theatre’s panto for the last 15 or so years. For more information or to book a ticket, visit the Forum Theatre website or ring the Box Office on 01642 552663. Panto season has started – oh yes it has! 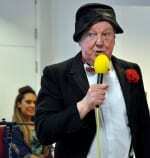 Entertainer Jimmy Cricket went into panto mode this weekend. The Northern Irish funnyman plays the comedy role of Muddles in that old favourite, Snow White and the Seven Dwarfs, at the Forum Theatre in Billingham near Middlesbrough. Also in the cast is Emmerdale’s Kurtis Stacey (he plays Alex Moss in the soap) who will feature in the role of the Wicked Henchman. On most days, there is a 2.30 afternoon matinee and an early evening show starting at around 6pm, though times vary on different days. 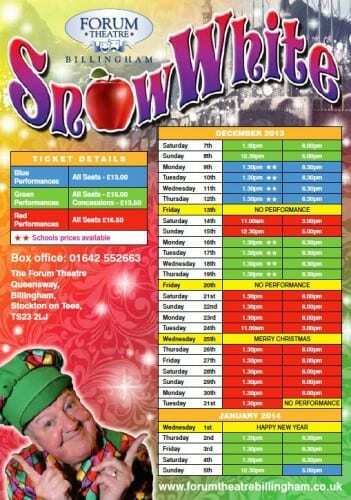 More details on the panto schedule on the right. The panto, which runs until 5 January, is being produced by the hugely experience Duggie Chapman, who has been in charge of the Forum Theatre’s panto for the last 15 years.